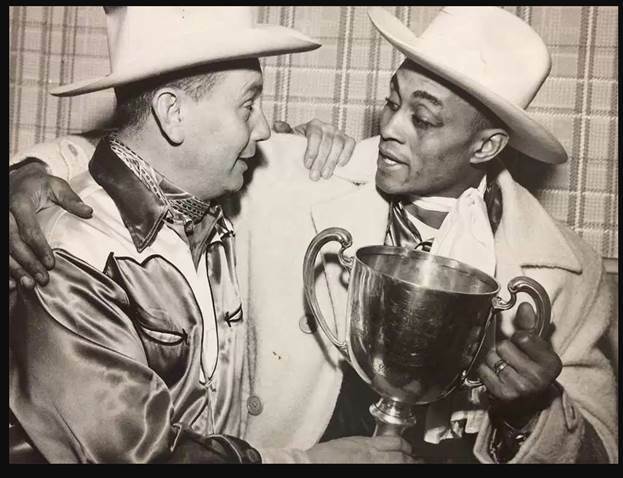 Stampeders President Tom Brook holding the Grey Cup with Woody Strode in Toronto, November, 1948. Courtesy of the Calgary Stampeder Football Club. In conjunction with Black History Month, RETROactive profiles Woody Strode, a pioneering African American player with the Calgary Stampeders who went on to a remarkable career in Hollywood. The arrival of Herb Trawick to the Montreal Alouettes in 1946 signalled the beginning of African Americans playing in the Canadian Football League (CFL), expanding the talent pool of athletes available for Canada’s professional teams. The first African Americans to play in Alberta were Charles Clay (Chuck) Anderson and Woody Strode who joined the Calgary Stampeders for the 1948 season. Although Strode only played with Calgary for two seasons, he made a lasting contribution to the lore of Grey Cup festivities that are now considered to be Canada’s premier sporting event. 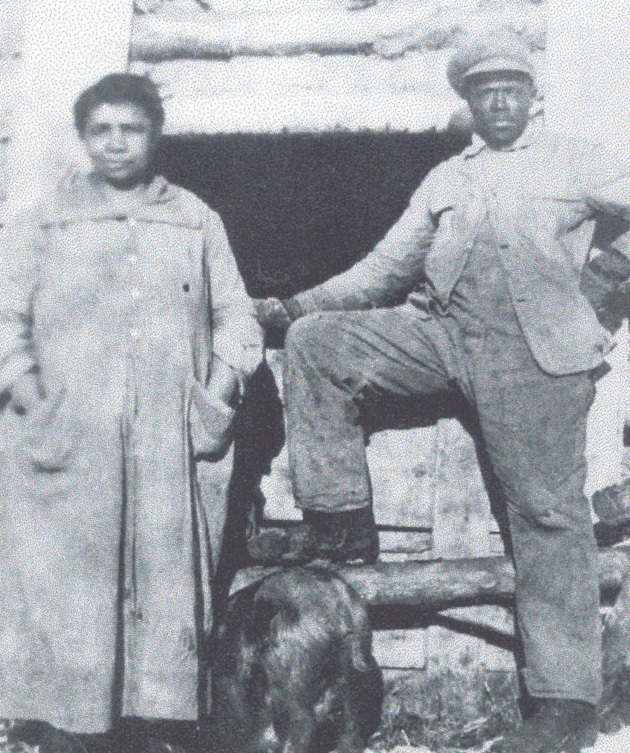 Willis and Jeanie Bowen at Amber Valley, courtesy of the Black Settlers of Alberta and Saskatchewan Historical Society. In January of 2017 the Government of Alberta officially proclaimed February as Black History Month, recognizing the contributions people of African and Caribbean descent have made to the province. This year marks the 20th anniversary of Black History Month in Canada, a time to celebrate the history and achievements of black Canadians within Canada. In the spirit of that announcement, RETROactive would like to feature one of Alberta’s historic places, which commemorates African American settlement. The Obadiah Place at Amber Valley was designated as a Provincial Historic Resource in 1990. The following information is adapted from the Alberta Register of Historic Places.